Nashville, TN – Along with chocolates and flowers, decorative candles are often given by sweethearts at Valentine’s Day (Thursday, February 14th, 2019). While candles are fragrant home décor, the Tennessee State Fire Marshal’s Office (SFMO) reminds consumers that candles must be used properly to avoid the potential loss of life, injury, and property damage from an accidental fire. Though candles might make a house feel more like a home, they can also cause tragedy if they aren’t used correctly. 71 Candle Fires in 2018 lead to 2 Deaths and Over $1.8M in Property Damage according to the Tennessee State Fire Marshal’s Office. In 2018, Tennessee fire departments responded to 71 residential structure fires that were started by candles. These fires caused two civilian fatalities, four civilian injuries, two firefighter injuries and $1,836,316 in property damage. According to the National Fire Protection Association (NFPA), 23 home candle fires are reported each day. More than one-third (37%) of home candle fires started in bedrooms. Over half (60%) of home candle fires happened because a combustible material, like furniture or fabric, was too close to the candle. Consider using battery-operated flameless candles, which can look, smell, and feel like real candles. 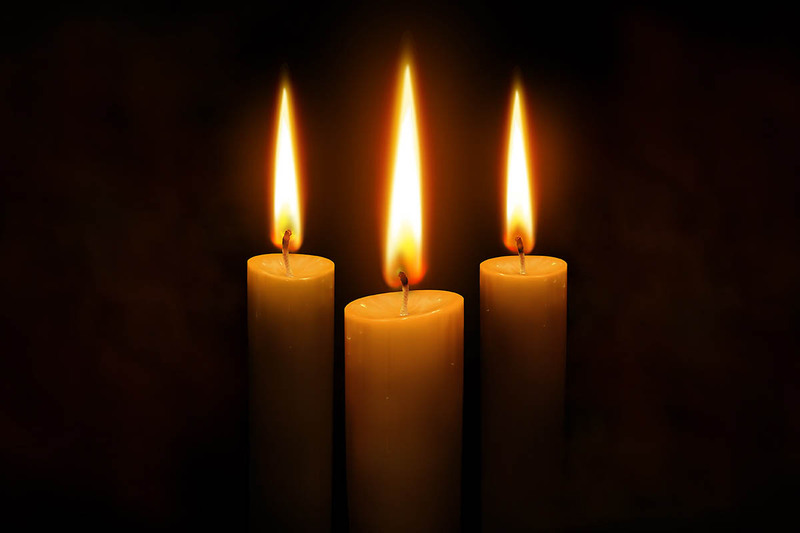 When using candles, place them in sturdy, safe candleholders that will not burn or tip over. Protect candle flames with glass chimneys/containers. Keep candles at least 12 inches from anything that can burn. Never leave a burning candle unattended. Extinguish candles when you leave a room or the home or go to bed. Avoid using candles in bedrooms and sleeping areas. Keep children and pets away from burning candles. Never leave a child unattended in a room with a candle. Never use a candle where medical oxygen is being used. The two can combine to create a large, unexpected fire. Medical oxygen can cause materials to ignite more easily and burn at a faster rate than normal. It can make an existing fire burn faster and hotter. Always use a flashlight—not a candle—for emergency lighting. Use only battery-powered lights in tents, trailers, motor homes, and boats. Lit candles should not be placed in windows, where blinds and curtains can close over them, causing a fire. For more information on staying fire safe, visit tn.gov/fire.